It occurred to me that over the past month, only about a quarter of our posts have been about The Cooper Monster! But what is there to say about Cooper that we haven’t said already? He sleeps with his tongue sticking out…. 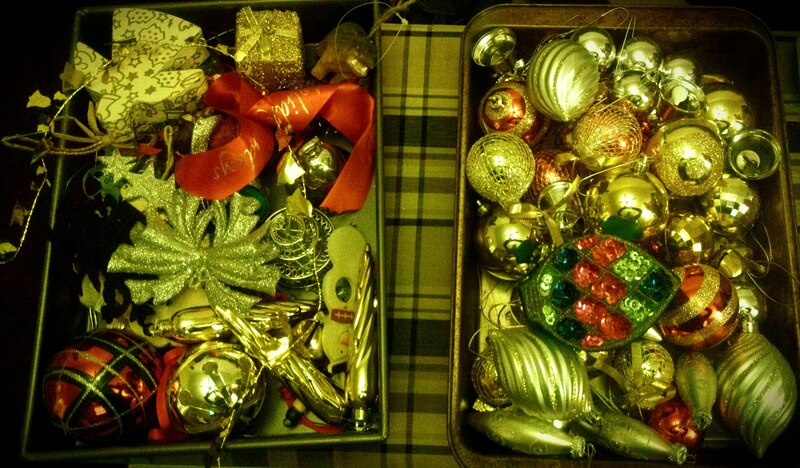 …and it’s looking like he’ll be spending Christmas with us at Foster House. Yes, Coop has been with us for a loooooong time, but that’s OK. As we’ve talked about before, Cooper is working on himself. We haven’t much interest in Cooper thus far, and maybe it’s simply because he’s not ready. 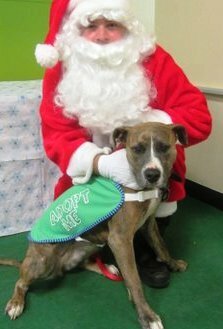 When the times comes, he will leave us – but honestly, we’re not getting our hopes up that Coop will be celebrating the holidays with his new furever family. Selfishly, I’m thankful to have as much time with the little snuggle monster as I can get. After a bit of a downer yesterday, I thought I’d use today to spread some love…and a little chuckle. Oscar has never been totally stoked about us bringing strange dogs into the house. He’s not much one for “sharing”….he hates sharing his toys, he bogarts the best spot on the couch, and he makes sure Cooper knows that he is the only canine allowed under the covers. Well, Cooper’s been with us for quite awhile now…maybe Cooper is growing on him, or perhaps Coop just wore him down. Either way, Oscar seems to have taken to the Cooper-monster. 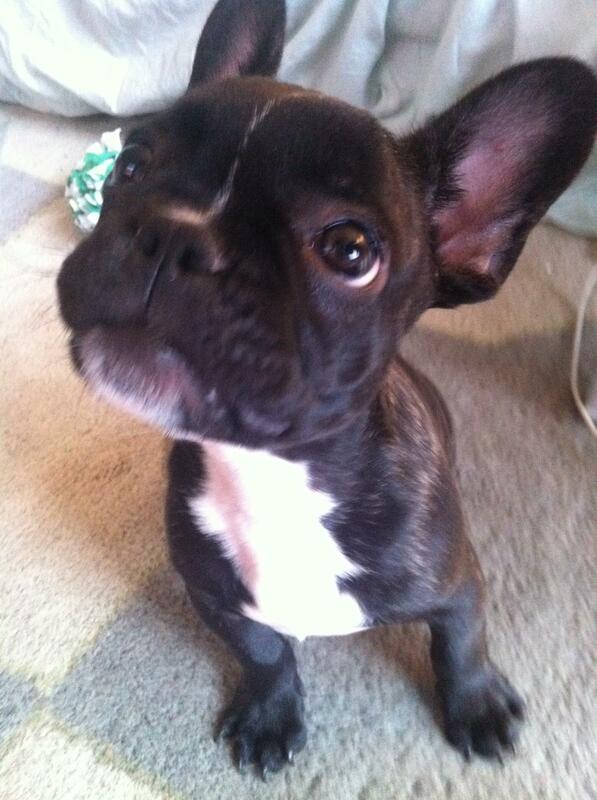 …or maybe Oscar has just finally found an object of his obsessive licking who won’t object. 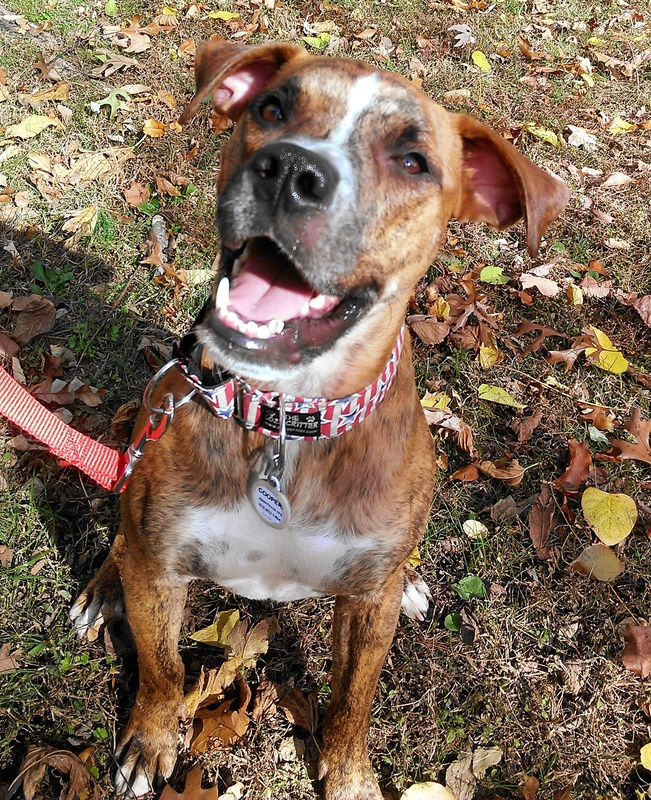 Cooper is still looking for his furever home! If you’d like to add Cooper to your family, please fill out an adoption application with Agape Animal Rescue. 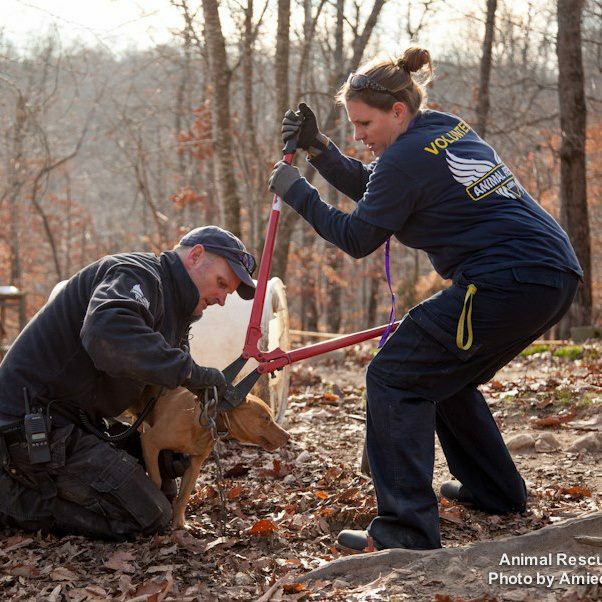 I could not believe it when I heard – Animal Rescue Corps was on the ground in Middle Tennessee once again, called to a property in Cheatham County on the evening of Thanksgiving. 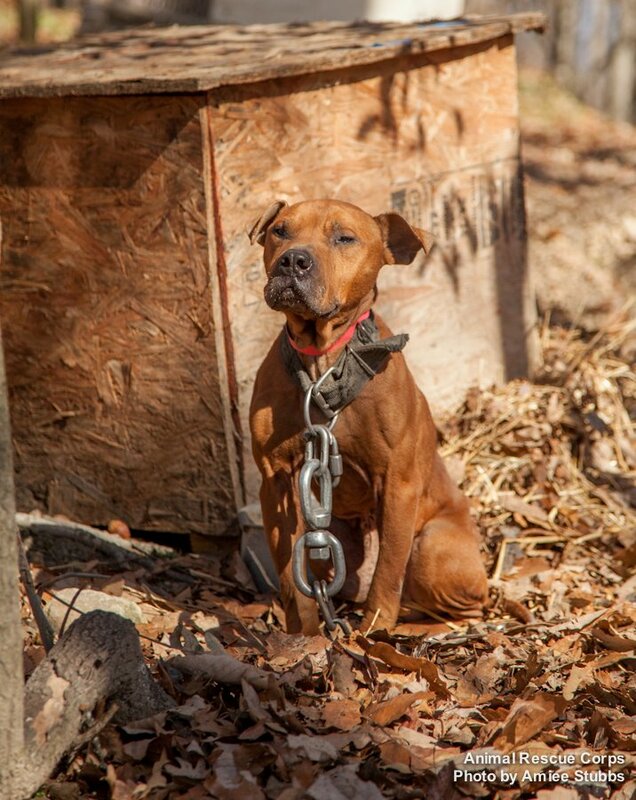 When they arrived, they discovered 65 dogs living on chains, in what is suspected to be the largest dog fighting operation ever discovered in Tennessee. Operation Broken Chain was officially underway, and my heart was officially broken. 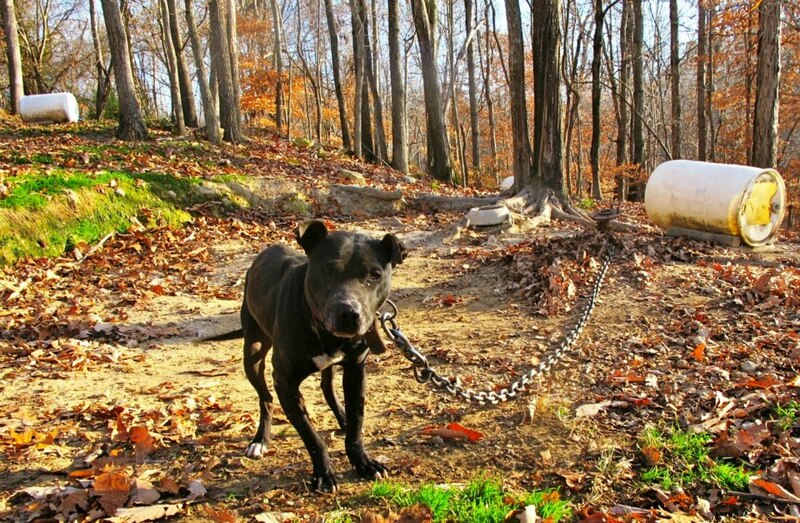 I watched the news in horror as I saw these poor precious dogs – most of them pit bull mixes – with heavy logging chains around their necks, tied to spikes in the ground. Some of them were so malnourished, with skin stretched so tightly over their bones, that they had open sores just from sitting on the ground. Others had scars on their faces and chests that told a gruesome story of abuse. Along with the pit bull type dogs, there were a handful of Beagles and Hounds. One of the Hounds was pregnant, perhaps a side breeding business? Do I even want to know? If their water dish was frozen over, how were they supposed to drink it?? 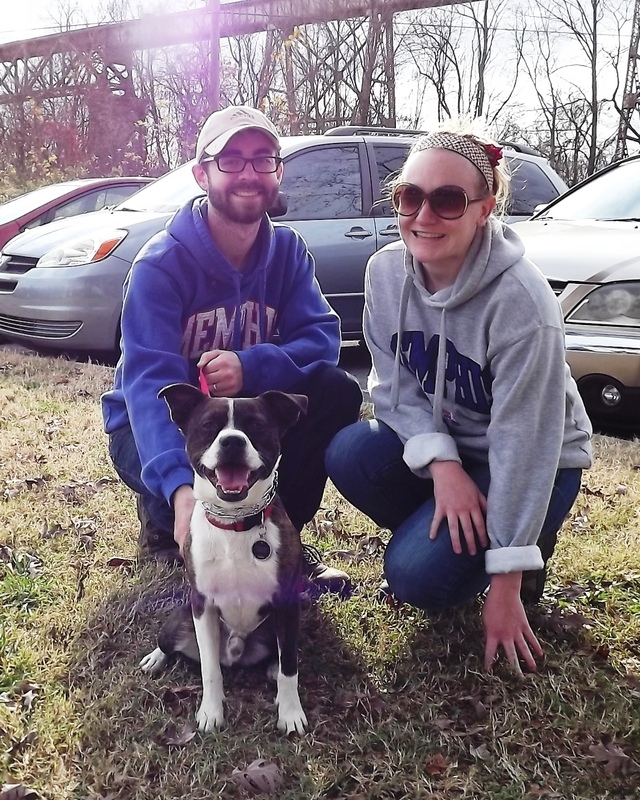 Animal Rescue Corps has been in Tennessee seven times in the last several years, most recently with Operation Freedom this past summer, and Operation Sweethearts last year. Does this mean that there’s a worse culture of abuse here than in other parts of the country? ARC president Scotlund Haisley says not necessarily. A lot of times, rural Animal Control offices simply don’t have the resources to handle such situations, and need the help. Thankfully, ARC is there to respond. Just another day in the life of Agape Animal Rescue Director, Tanya Willis – kicking a$$ and saving lives. Foster Dad and I spent this past Sunday out at the emergency shelter, set up in half of a warehouse in Lebanon, Tennessee. 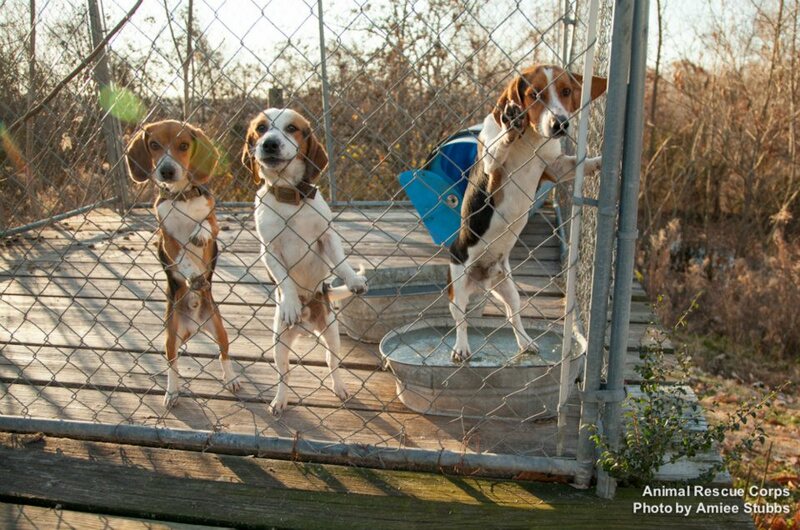 It was cold and loud, but for these dogs it was the first place they’ve ever been “safe” in their lives. This was such a different experience than the last couple rescues operations we’ve volunteered with. 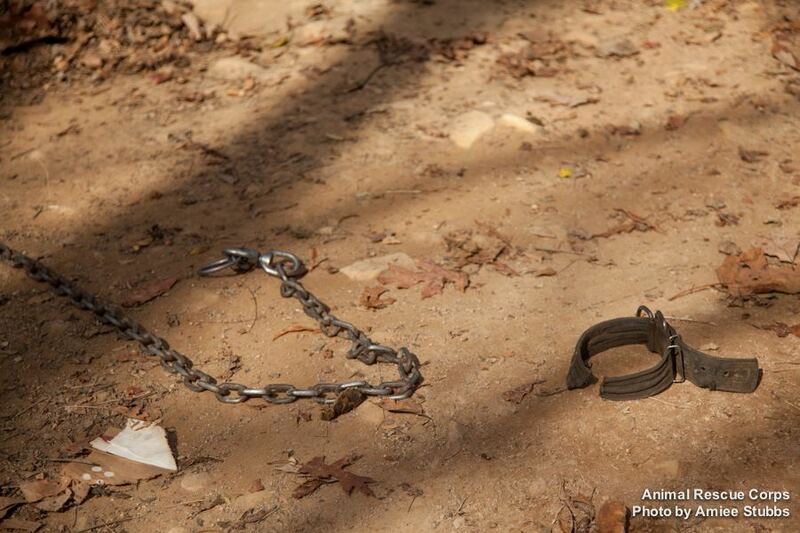 In Sweethearts and Freedom, most of the dogs were terrified of everything – especially us. But you guys, these dogs…in true pit bull fashion, these dogs wanted nothing more than human affection. As we distributed food and water, they were pushing against the doors of their cages trying to climb into our laps. As we passed by them, they would press their whole sides against their crates and wag their tails fiercely, in the hopes they might get a little scratch through the bars. And when we took them into the “potty area” to stretch their legs so we could clean their crates, most of them prefered to be in our laps covering our faces with sweet kisses, or chasing a rubber Kong around the room – experiencing “play” for the very first time. Every single one of them stole my heart. 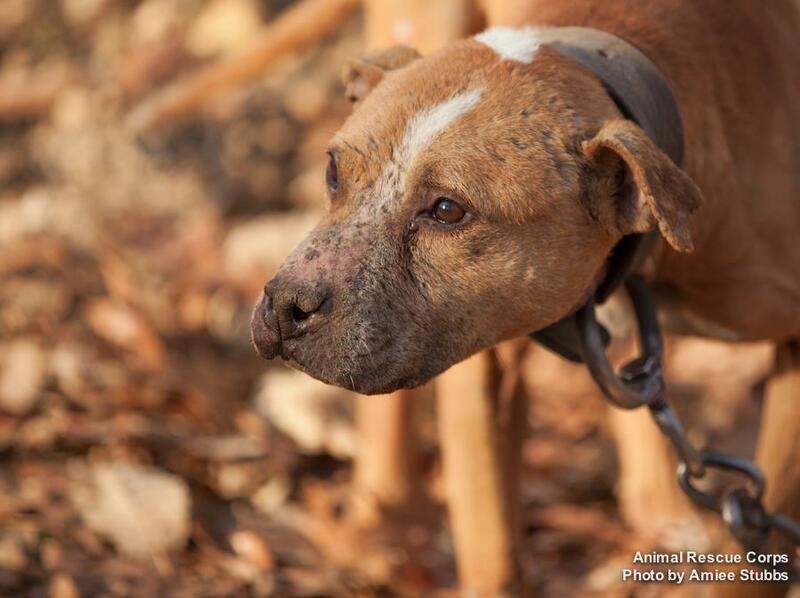 Every single one of these dogs embodies the word “resilience” – no amount of abuse or neglect could break their spirits. That day was the first full day the dogs were at the shelter, which was focused on getting all the dogs initial veterinary exams and documenting their conditions. The dogs didn’t even have names yet – but one of them sticks in my mind. A sweet brown and white girl with severe crate anxiety – the way she gnawed at that thing, she bloodied her nose trying to escape. 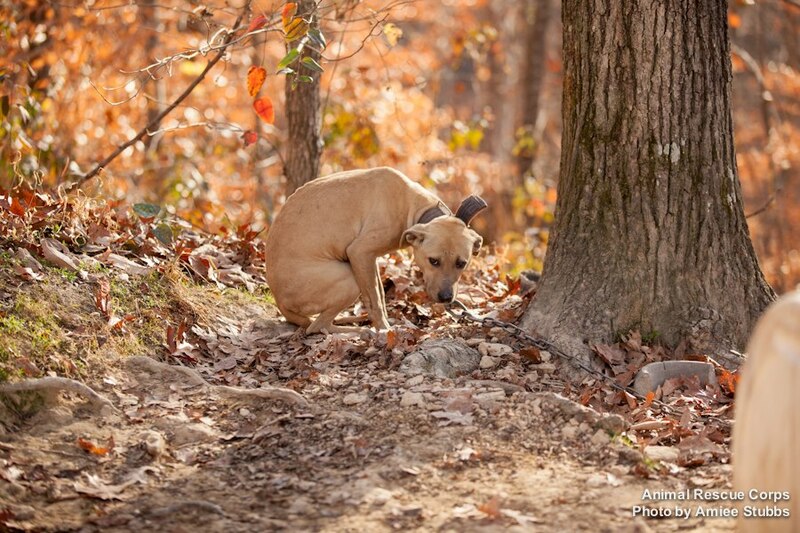 But when she got out and into the potty area, even though her bones were visible under her skin and she walked as though she was in constant pain, after some cautious sniffing…she started to prance. Actually prance around the enclosure, chasing after a Kong. It’s like she suddenly realized, “Oh yeah! I’m a dog and it’s awesome!” It was absolutely amazing to see. Even though we’ve not been able to go back since Sunday, these dogs have been in my mind non-stop since then. As much as these cases break my heart, I try so hard to think of it as the happiest time in theses dogs’ lives so far. After all, their suffering is over. …and I Love My Pit Bull! 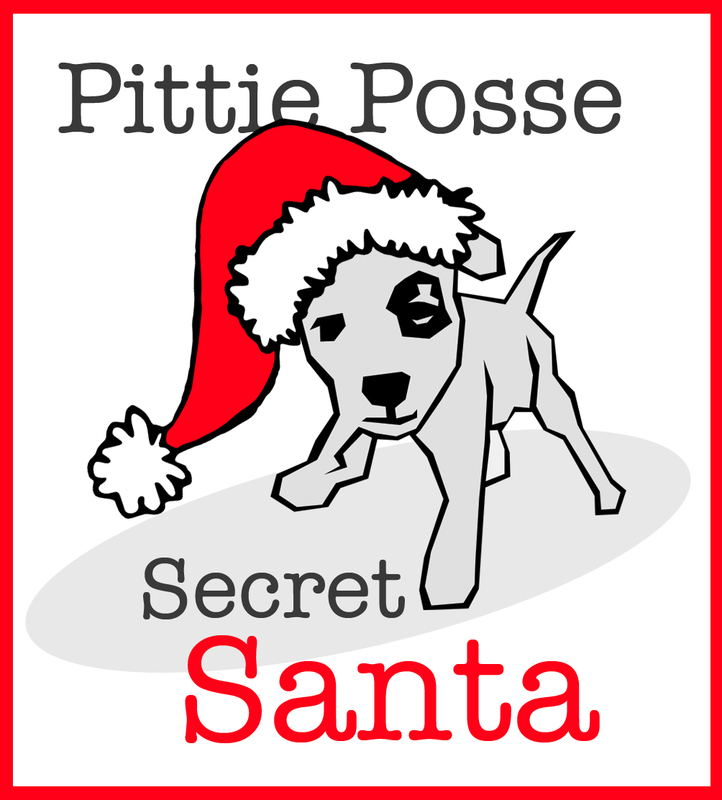 Have you heard about this super cool project that Angel City Pit Bulls has been working on? ACPB, a pit bull rescue and advocacy group out of Los Angeles, has been featured on StubbyDog for their mission of “helping pit bulls remain angels here on earth by encouraging adoption and education.” Their latest project is a three part video series of normal, responsible, everyday pit bull owners who love their dogs. Just like Nashville PITTIE’s recent Impression-a-Bull project, ACPB wants to show the world that pit bulls are no different than any dog when they are made part of a loving family. I absolutely LOVE these type of projects, because the first step in pit bull advocacy is education. Education about spay/neuter, education about training, and education about tethering (and why it s-u-c-k-s). But here’s the thing – there’s actually a step even before education. Call it the “preface” step. Because people can not be educated if they are afraid, and people are afraid of what they don’t understand. If all someone has a preconceived notion that all pit bull owners are thugs and drug dealers, and all they know about “pit bulls” comes from the negative stories they see on the news, they aren’t going to have an open mind to be educated. So what do we do? We have to show people that “pit bull owners” are just like them. These photos will be used by Animal Farm in upcoming campaigns and educational materials and help “shine a spotlight on the millions of everyday ‘pit bull’ dog families in a variety of ways.” I know many of you wonderful people are pit bull owners and lovers, so what are you waiting for? Download your own poster, get out a fat marker and tell ’em who you are! 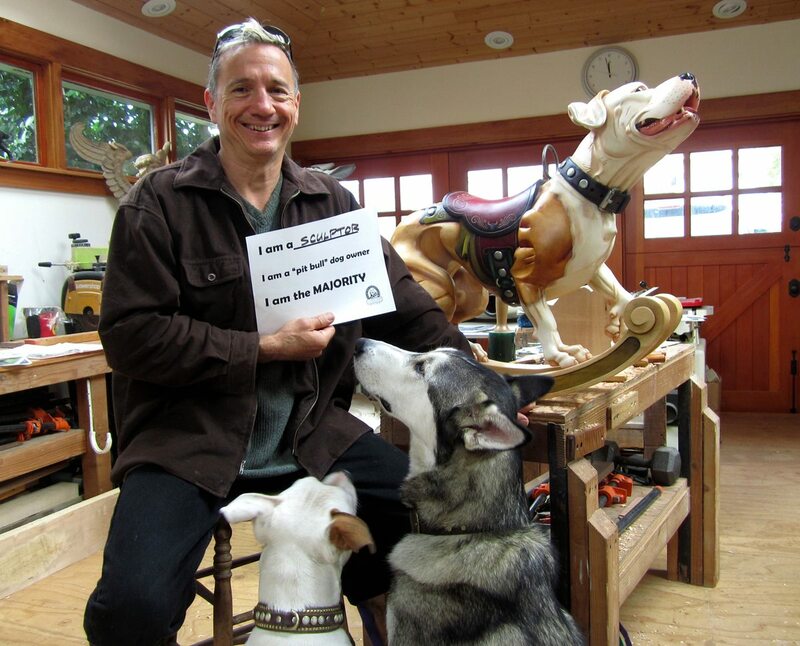 Hold up your poster proudly, snap a photo with your furry family, and e-mail it to info@animalfarmfoundation.org. You can follow Animal Farm Foundation on Facebook to see lots of photos from folks around the country. Remember, Cooper is still searching for his furever family! If you’re interested in adopting Cooper, please fill out an application with Agape Animal Rescue. Laruen Colman serves as the digital marketer for the dog boarding and dog sitting community at Rover.com and is a true dog lover at heart. Lauren spends her days at the office with her dogs Squish and Brando by her side. All photo credits in this post belong to Ms. Colman. 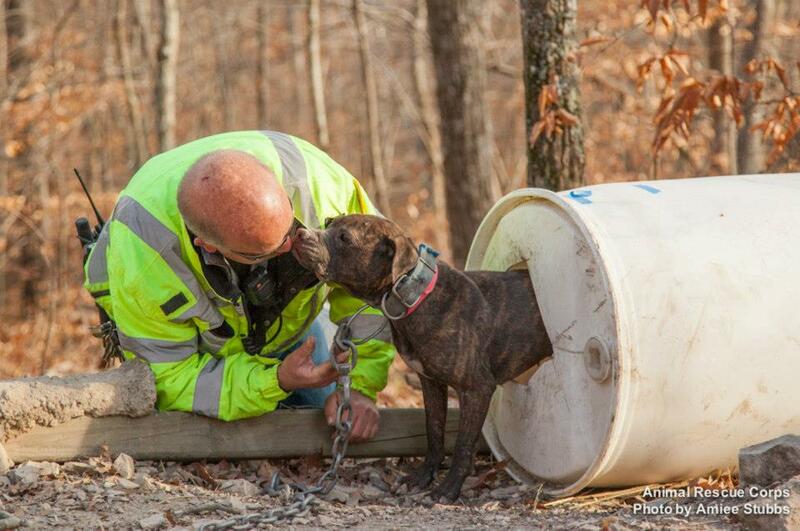 Fostering a homeless dog is a true labor of love. The experience can be difficult at times, but most foster families love what they do. Although many people would love to help dogs in need, some are fearful of the work or of becoming too attached to the animals. If you’ve been thinking about fostering but are hesitant to make a commitment, here are some of the benefits for both the dogs and the families involved. For a homeless dog, being released from a shelter may mean the difference between life and death. 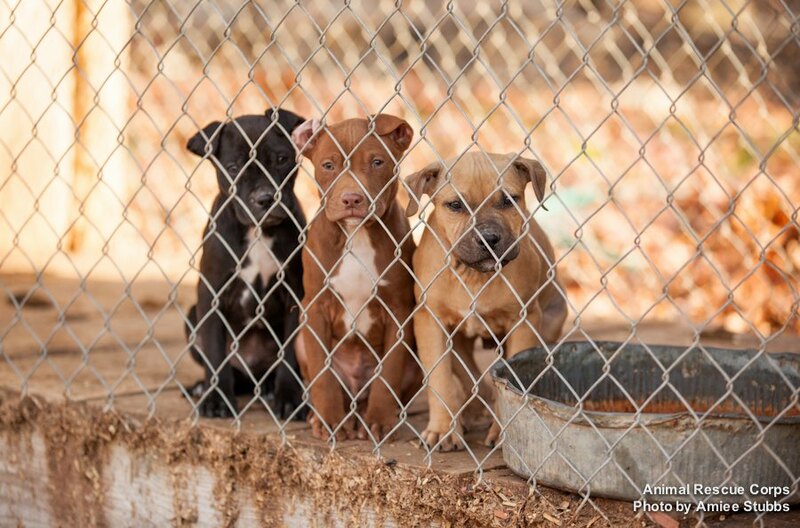 Animal shelters are often filled to capacity and can’t keep dogs for very long. Volunteers from various animal rescue groups try to help as many dogs as they can, but they must have enough foster homes for the dogs. By fostering, you not only save one dog’s life, but two. By taking them into your home and out of the shelter, you help make room for another dog and give them a chance at adoption or foster care. Foster homes are also used to rehabilitate dogs. 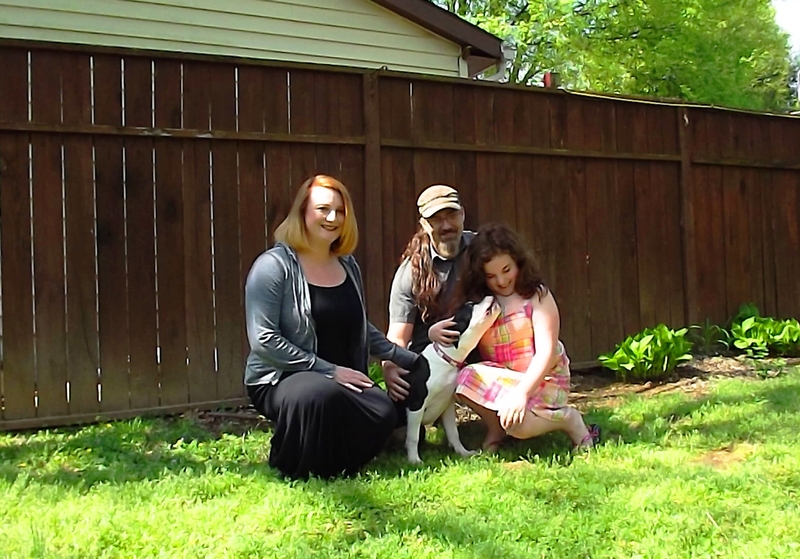 Dogs that go into foster homes for the first time learn how to be a part of a family. They’re introduced to manners, rules, exercise and love that the foster parents work to teach and enforce. Once the dog has been trained, he is more likely to be adopted and remain with his adopted family. If you’re worried about being able to train a dog, the sponsoring rescue group usually provides help. If a dog is in need of medical care, foster families provide a safe place for the dog to recuperate after treatment. Sick and injured dogs are more likely to recover in a loving home. Some foster families also care for pregnant dogs and help with the puppies after birth. Because all veterinary services are provided by the rescue group, you won’t have to worry about the cost. 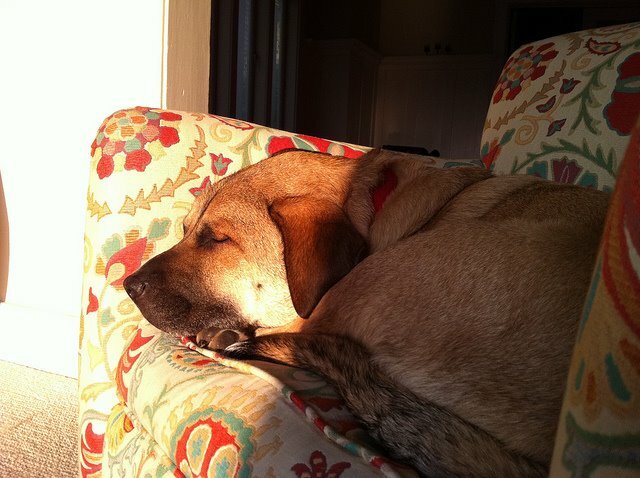 Dogs are much happier in a home environment. Even if they are placed in a no-kill shelter, dogs are likely to be kept in kennels. Without freedom to run, consistent interaction with humans, love, and play, the dogs may grow depressed and may also gain weight. It is very hard to judge a dog in the shelter environment because of these implications, which can lead to lower adoption rates. By providing a temporary home environment, you are keeping the dog happy and healthy and allowing them to blossom into the character they really are. 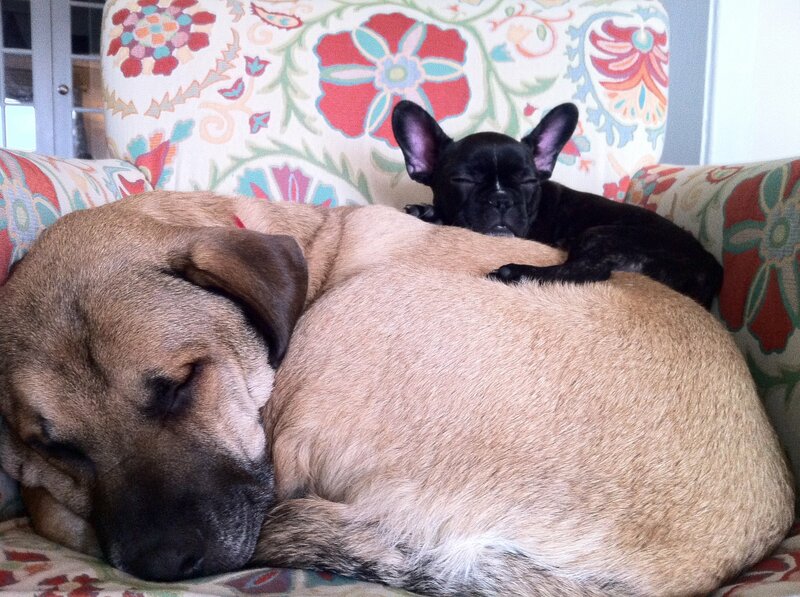 Although dogs definitely benefit from being fostered, there are also rewards for the foster families. If you already own a dog and aren’t sure if you’re ready for another one of your own, fostering is a great way to “test drive” the scenario and prepare you for the responsibilities of a multi-dog household down the road. If fostering with no hard expiration date turns you off, consider short-term foster care. By doing this, you’re still able to test the situation and see how you, the dog and your family handle the living conditions. Regardless of time, by taking the dog in, you prepare them for adoption and help prevent overcrowding in the shelter. If you have children, fostering an animal is a great way to teach responsibility. Taking in a homeless dog can show your kids the importance of caring for animals, and it can also help them to understand the impact of spaying and neutering our pets. 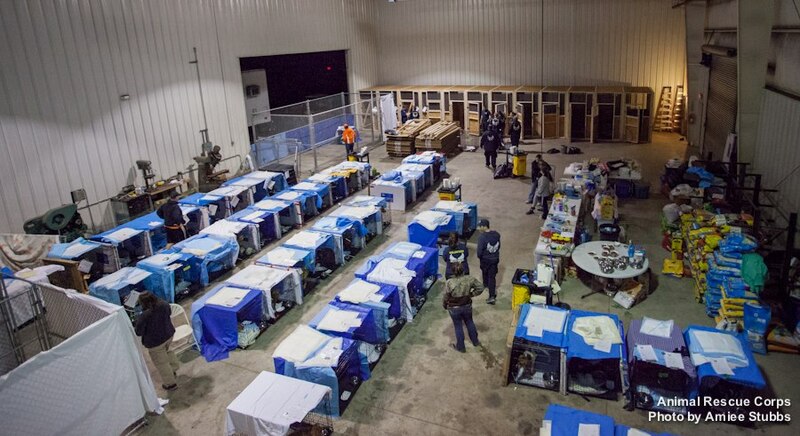 In the U.S. as a whole, there are 6-8 million homeless animals entering shelters every year. Half of these animals are lucky enough to find homes while the other half is euthanized. These are healthy, sweet animals that could have made someone a great companion. 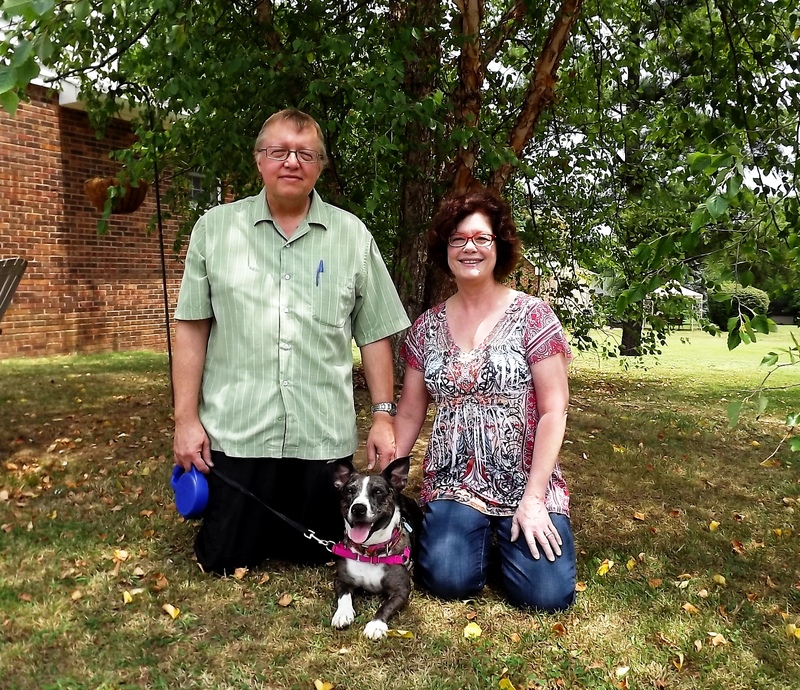 Fostering a dog is also a great way to give back to the community. 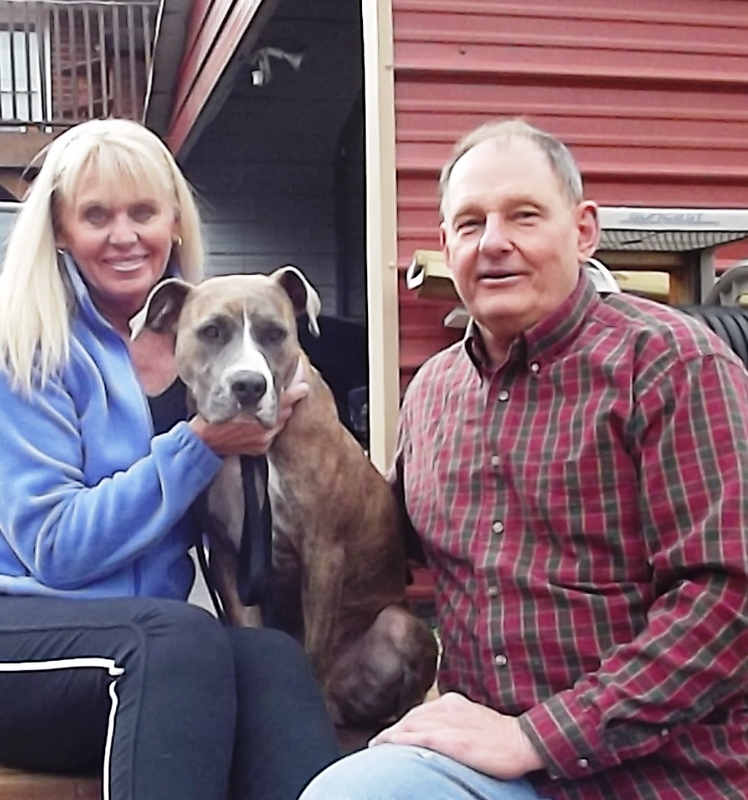 You are not only saving a dog’s life, but you are also helping to prepare him for a new home. Although you may be worried about letting the dog go, you can rest assured that that you are providing an invaluable service. You will also be making more room for future dogs to come into your home. 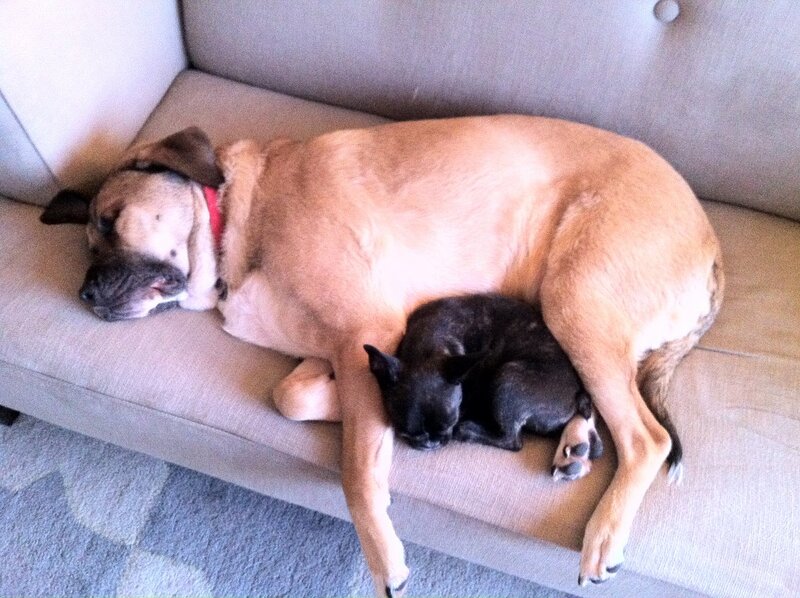 Although fostering a homeless dog isn’t easy, it definitely has its rewards. 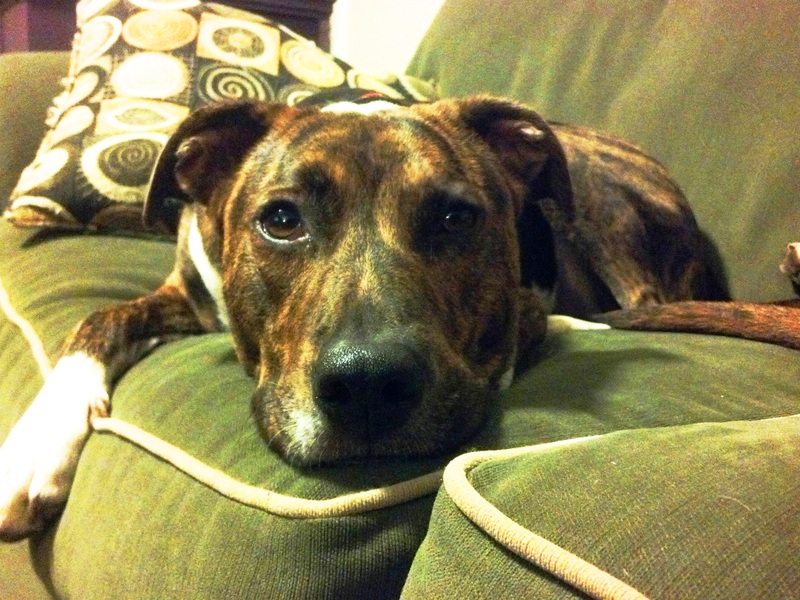 By fostering, you provide the dog with a temporary home, medical care and training. In return, you’ll have the satisfaction of caring for an animal in need. Any fears or hurt you may feel by becoming “too attached” to your new addition will be replaced by the joy you feel when you see the new family with their dog. 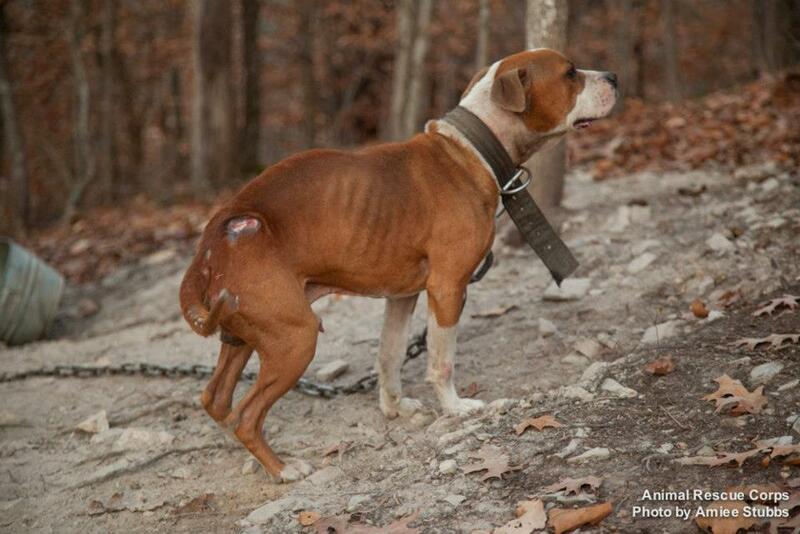 Remember, there is always another dog that needs your help after this one goes home. Rover.com provides an alternative to kennels as a dog boarding option for pet owners. Whether it’s your own home or your neighbor’s home, you don’t have to drive hours to find a cageless kennel or worry about your dog being holed up in a lonely cage while you’re away. Sitters can sign up for the service on their own and range from professionals who will come to you home, large families with other dogs, or doting elderly folks who will love your pup like their grandchildren. 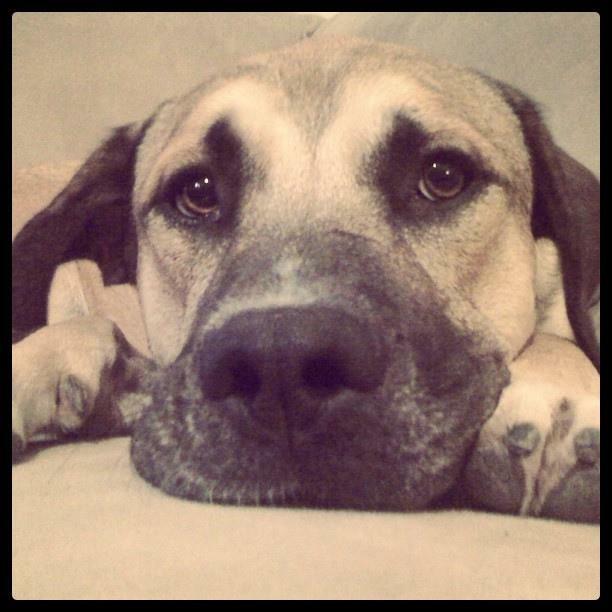 For more dog tips, you can follow Rover.com on Twitter @roverdotcom or on their blog, Dog Boarding News.